There’s one thing that every entrepreneur must understand to truly grow a successful business. That one thing is human behavior. Understanding human behavior will help you become more effective at marketing, sales, productivity, copywriting, and even product development. And there’s no better way to develop an understanding of human behavior than through research. Researchers have been conducting studies to understand why we behave the way we do for decades, which is great news for entrepreneurs. Research studies can help us understand our markets to better position and price our products, increase our sales, and communicate to consumers. Here are eight studies every entrepreneur should know to become far more effective in your business. It turns out that this isn’t just an over-used quote; it’s actually true. A study done by Ellen Langer from Harvard University had subjects ask people lined up at a photocopier whether they could cut in front of them in a line to make their own copies. That’s where the “how you say it” part comes in: the message with all three test groups was the same. The subject wanted to cut ahead of them. However, in one group, the subject asked to cut ahead without a reason, simply asking if they could make copies by saying “may I use the Xerox machine?” They were only given permission to cut ahead in 60% of these cases. In the second group, the subject said: “May I use the Xerox machine, because I’m in a rush?” This was far more successful than the first group with 94% allowance. The third group, however, also gave a “reason”, although the reason made no sense. They said, “may I use the Xerox machine, because I have to make copies?” Even though everybody standing in line also had to make copies, 93% of people let the researcher jump ahead. This demonstrates that people are far more likely to follow through with a request if there seems to be a reason for the requester to make it – even if the reason makes no sense. This study proved that we have blind spots when somebody uses the word “because” to make a case for something they want us to do. As an entrepreneur, the results of this study will help you craft more effective sales copy, marketing content and messaging around your brand. Don’t underestimate the power of a simple word! Over the past couple of years “content marketing” has become a buzzword. That’s because content marketing works so well in today’s information era, where advertisements are being replaced with giving away valuable information for free. But have you ever wondered why content marketing is so effective? It’s because content marketing – or adding real value to people’s lives, even for free, through publishing audio, visual, video, or written content – activates our reciprocity gene. As humans, we are strongly driven to reciprocate favors or gifts. This is demonstrated in Robert Cialdini’s book Influence: The Psychology of Persuasion. Cialdini describes a study done by Phillip Kunz from Brigham Young University. Kunz sent out 600 handwritten Christmas cards to complete strangers to see what would happen, and over the next few weeks received over 200 back. This is astonishing, considering Kunz was a stranger to the recipients of his cards; they were acting upon the societal norm of reciprocating when somebody gives us something – even somebody we don’t know giving us something as small as a Christmas card. As an entrepreneur, you may be wondering how this study will help you. But maybe you should be wondering how you can help your target market. After all, if you give them something, they’re likely to reciprocate – and sometimes, they’ll do so by buying from you. Have you ever heard the advice to use the exact words that your market uses in your sales copy? That’s because when we hear words we use (or think), it resonates with us. If we can create sales messages in the language our target market uses, they assume we know the problem better than they do. A study done by Rick Van Baaren in the Netherlands demonstrates this in action. He had servers in a restaurant take two approaches to confirming an order. Some servers would indicate that they’d heard the customer’s orders with a simple acknowledgement, and some would repeat the order in the customer’s exact words back to them. Those who mimicked the exact words of the customer saw a 20+% increase in those who tipped, from 52% to 78%. As an entrepreneur, you should be aware of this study because it will help you resonate with their target market. If you can use the exact words and phrasing that your market is thinking or using in your copy, the odds will be tipped in your favor. As much as we prefer to think that we like new and novel things, the truth is we have a strong preference for the familiar. Studies have shown that people look favorably upon something they’re familiar with. In one study, psychologist Robert Zajonc showed participants a character that appeared to be Chinese (but was actually just an arbitrary design). 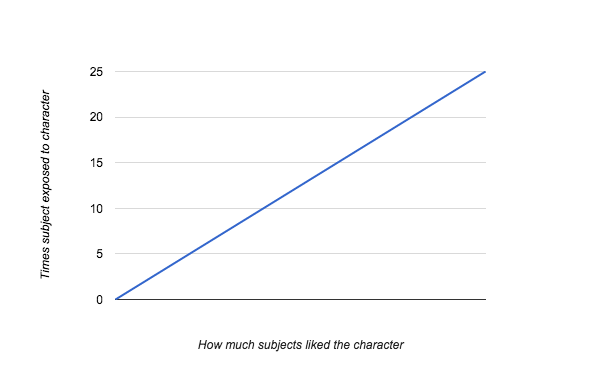 Those who were frequently shown specific characters reacted more positively to the character; the higher the frequency of the people seeing the same symbol, the more the person liked them. As an entrepreneur, the mere exposure effect study can help you with your marketing plan as it helps you understand the buying patterns of the market. You may have heard that people need to see an advertisement on average seven times before buying; while this would depend on your industry and product, this study goes to show that once is not enough exposure for your market. Did you know that if you can get somebody to say “yes” to a small request, you have a far better chance of getting them to comply with a bigger request later on? This is why sales funnels work. Stanford researchers Jonathan Freedman and Scott Fraser prove this in a study done in the 1960s. They contacted housewives who were divided into groups. One group was contacted with a small request and then later contacted with a much larger request. The second group was contacted with just the large request. The first group was 30% more likely than the second to say “yes” to the larger request, as they’d already complied with the smaller request. Many marketers believe that this is one way to program behavior of consumers to get used to taking one specific action with your brand. Create small opportunities for your customers to say “yes” to lead to larger requests later. While that is certainly true in some cases, too much variety may be hurting sales. An infamous study done by two researchers from Stanford and Columbia Universities respectively demonstrates that while consumers are more interested by having many choices, they’re less decisive and likely to purchase when given many choices. The two researchers set off to a food store to create a sample display of jams. Coupons were offered to the customers who stopped to sample the jam. In one part of the study, six flavors of jam were displayed. In another part, twenty-four flavors of jam were displayed. 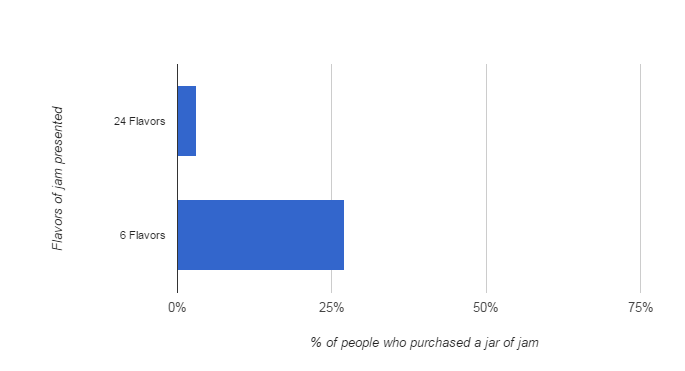 What they found was that no matter how many jams were on display, the same number of jams were sampled, but 27% more customers actually purchased some jam if they only had to choose between six flavors rather than twenty-four. You can use this information in your business to increase your sales. Take a look at your product offerings; are you offering too many choices? Remember, offering too many seems interesting to customers but it doesn’t convert to sales. Let’s say your business offered two products, and your preference is to sell more of one of them. How could you increase the sales for that one product? Maybe you’d advertise it more, lower the price or offer a bonus for those who purchase it. But have you ever considered introducing a third, less desirable product to increase your sales of the one? As outlandish as it seems, this can work, and is called the decoy effect. This study was conducted by Itamar Simonson, a popular researcher in this field. 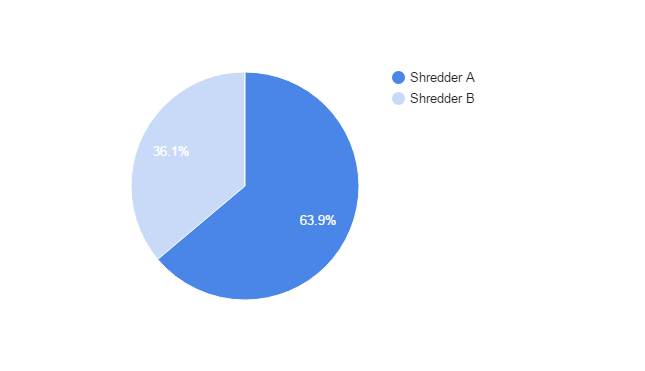 95 shoppers were initially asked to choose between two paper shredders. The first shredder (A) was the cheaper and less efficient model. The second shredder (B) was both more expensive and efficient. 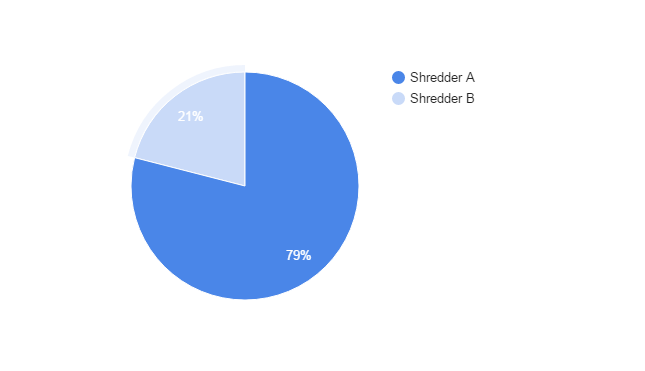 In this case, 79% of the shoppers selected the first shredder (the cheaper, less efficient). However, the researchers then added a third option (C). This option was the middle of the line for efficiency but the top of the line for price; it was more expensive than A and B but more efficient than A and less efficient than B. Though the introduction of option C didn’t change the other two options, 74% more participants chose option B. This study demonstrates how our decisions change depending on the options we have available. You can use this in your business to offer “decoys” if you want to increase your sales of a specific product. How amazing would it be for a flood of traffic, followers, and sales to all of a sudden hit your business? 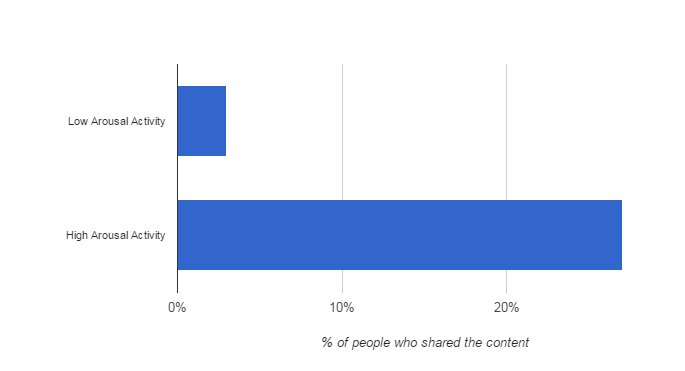 If you’ve ever wanted a piece of your content to go viral, this study will be useful. Jonah Berger, best selling author, conducted a study that proved that things that elicit certain emotions are far more likely to be shared. The study elicited both “high arousal” and “low arousal” from participants by having them jog on the spot (a high arousal activity) and watching emotional videos (a high arousal activity), and then asked if they were more or less likely to share the video or content with their friends. It turns out that high-arousal activities (emotion, physical activity) increased the likelihood that the individuals would share the content by over 50%. When crafting content for your business, ensure it elicits emotion from your audience (or that they’re at the gym when they consume it!). If you understand the implications of these studies on your business, you’re farther ahead than most people in understanding human behavior – and therefore, the behavior of your market. Application of these eight studies will not only help you earn more revenue through your business, but also save you and your team the time and effort of trying things that won’t work. About the Author: Nathan Chan is the Publisher and CEO of Foundr magazine. He is extremely passionate about entrepreneurship and has interviewed some of the most successful entrepreneurs on the planet today (Richard Branson, etc). He shares all of these interviews at www.foundrmag.com.